In his heart every man knows quite well that, being unique, he will be in the world only once and that no imaginable chance will for a second time gather together into a unity so strangely variegated an assortment as he is: he knows it but he hides it like a bad conscience—why? From fear of his neighbor, who demands conventionality and cloaks himself with it. 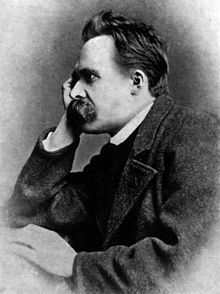 Untimely Meditations (German: Unzeitgemässe Betrachtungen) consists of four essays by Friedrich Nietzsche, composed between 1873 and 1876. Mag wohl die Verwechselung in jenem Wahne des Bildungsphilisters daher rühren, dass er überall das gleichförmige Gepräge seiner selbst wiederfindet und nun aus diesem gleichförmigen Gepräge aller „Gebildeten” auf eine Stileinheit der deutschen Bildung, kurz auf eine Kultur schliesst. 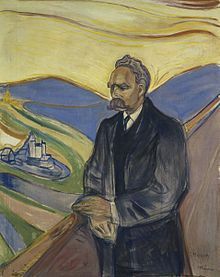 The confusion underlying the Culture-Philistine’s error may arise from the fact that, since he comes into contact everywhere with creatures cast in the same mould as himself, he concludes that this uniformity among all “scholars” must point to a certain uniformity in German education—hence to culture. Eine unglückliche Verdrehung muss im Gehirne des gebildeten Philisters vor sich gegangen sein: er hält gerade das, was die Kultur verneint, für die Kultur. The mind of the cultured Philistine must have become sadly unhinged; for precisely what culture repudiates he regards as culture itself. Nobody, however, is more disliked by [the Culture-Philistine] than the man who regards him as a Philistine, and tells him what he is—namely, the barrier in the way of all powerful men and creators, the labyrinth for all who doubt and go astray, the swamp for all the weak and the weary, the fetters of those who would run towards lofty goals, the poisonous mist that chokes all germinating hopes, the scorching sand to all those German thinkers who seek for, and thirst after, a new life. For the mind of Germany is seeking; and you hate it because it is seeking, and because it will not accept your word when you declare that you have found what it is seeking. [The Philistine] opposed the restless creative spirit that animates the artist, by means of a certain smug ease—the ease of self-conscious narrowness, tranquility, and self-sufficiency. His tapering finger pointed, without any affectation of modesty, to all the hidden and intimate incidents of his life, to the many touching and ingenuous joys which sprang into existence in the wretched depths of his uncultivated existence. These smug ones [The Philistines] now once and for all sought to escape from the yoke of these dubious classics and the command which they contained—to seek further and to find. [The Philistines] only devised the notion of an epigone-age in order to secure peace for themselves, and to be able to reject all the efforts of disturbing innovators summarily as the work of epigones. With the view of ensuring their own tranquility, these smug ones even appropriated history, and sought to transform all sciences that threatened to disturb their wretched ease into branches of history... No, in their desire to acquire an historical grasp of everything, stultification became the sole aim of these philosophical admirers of “nil admirari.” While professing to hate every form of fanaticism and intolerance, what they really hated, at bottom, was the dominating genius and the tyranny of the real claims of culture. In this way, a philosophy which veiled the Philistine confessions of its founder beneath neat twists and flourishes of language proceeded further to discover a formula for the canonization of the commonplace. 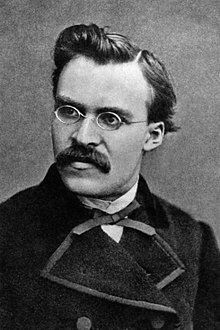 It expatiated upon the rationalism of all reality, and thus ingratiated itself with the Culture-Philistine, who also loves neat twists and flourishes, and who, above all, considers himself real, and regards his reality as the standard of reason for the world. From this time forward he began to allow every one, and even himself, to reflect, to investigate, to aestheticise, and, more particularly, to make poetry, music, and even pictures—not to mention systems of philosophy; provided, of course, that ... no assault were made upon the “reasonable” and the “real”—that is to say, upon the Philistine. Here Nietzsche is talking about David Strauss, but he later applies essentially the same criticism to the British empiricists. “I hate everything that merely instructs me without augmenting or directly invigorating my activity.” These words are from Goethe and they may stand as a sincere ceterum censeo at the beginning of our meditation on the value of history. For its intention is to show why instruction without invigoration, why knowledge not attended by action, why history as a costly superfluity and luxury, must, to use Goethe's word, be seriously hated by us—hated because we still lack even the things we need and the superfluous is the enemy of the necessary. We need history, certainly, but we need it for reasons different from those for which the idler in the garden of knowledge needs it, even though he may look nobly down on our rough and charmless needs and requirements. We need it, that is to say, for the sake of life and action, not so as to turn comfortably away from life and action, let alone for the purpose of extenuating the self seeking life and the base and cowardly action. We want to serve history only to the extent that history serves life: for it is possible to value the study of history to such a degree that life becomes stunted and degenerate. Ich wüsste nicht, was die classische Philologie in unserer Zeit für einen Sinn hätte, wenn nicht den, in ihr unzeitgemäss—das heisst gegen die Zeit und dadurch auf die Zeit und hoffentlich zu Gunsten einer kommenden Zeit—zu wirken. Im Grunde weiß jeder Mensch recht wohl, daß er nur einmal, als ein Unikum, auf der Welt ist und daß kein noch so seltsamer Zufall zum zweitenmal ein so wunderlich buntes Mancherlei zum Einerlei, wie er es ist, zusammenschütteln wird: er weiß es, aber verbirgt es wie ein böses Gewissen – weshalb? Aus Furcht vor dem Nachbar, welcher die Konvention fordert und sich selbst mit ihr verhüllt. Was ist es, was den einzelnen zwingt, den Nachbar zu fürchten, herdenmäßig zu denken und zu handeln und seiner selbst nicht froh zu sein? Schamhaftigkeit vielleicht bei einigen und seltnen. Bei den allermeisten ist es Bequemlichkeit, Trägheit, kurz jener Hang zur Faulheit, von dem der Reisende sprach. What is it that constrains the individual to fear his neighbor, to think and act like a member of a herd, and to have no joy in himself? Modesty, perhaps, in a few rare cases. With the great majority it is indolence, inertia. Die Menschen sind noch fauler als furchtsam und fürchten gerade am meisten die Beschwerden, welche ihnen eine unbedingte Ehrlichkeit und Nacktheit aufbürden würde. Die Künstler allein hassen dieses lässige Einhergehen in erborgten Manieren und übergehängten Meinungen und enthüllen das Geheimnis, das böse Gewissen von jedermann, den Satz, daß jeder Mensch ein einmaliges Wunder ist. Men are even lazier than they are timid, and fear most of all the inconveniences with which unconditional honesty and nakedness would burden them. Artists alone hate this sluggish promenading in borrowed fashions and appropriated opinions and they reveal everyone’s secret bad conscience, the law that every man is a unique miracle. When the great thinker despises mankind, he despises its laziness: for it is on account of their laziness that men seem like factory products. A man who would not belong in the mass needs only to cease being comfortable with himself. Wie finden wir uns selbst wieder? Wie kann sich der Mensch kennen? Er ist eine dunkle und verhüllte Sache; und wenn der Hase sieben Häute hat, so kann der Mensch sich sieben mal siebzig abziehn und wird noch nicht sagen können: »das bist du nun wirklich, das ist nicht mehr Schale«. Das ist das Geheimnis aller Bildung: sie verleiht nicht künstliche Gliedmaßen, wächserne Nasen, bebrillte Augen – vielmehr ist das, was diese Gaben zu geben vermöchte, nur das Afterbild der Erziehung. Sondern Befreiung ist sie, Wegräumung alles Unkrauts, Schuttwerks, Gewürms, das die zarten Keime der Pflanzen antasten will. Die gebildeten Stände und Staaten werden von einer großartig verächtlichen Geldwirtschaft fortgerissen. Niemals war die Welt mehr Welt, nie ärmer an Liebe und Güte. All that exists that can be denied deserves to be denied; and being truthful means: to believe in an existence that can in no way be denied and which is itself true and without falsehood. The objective of all human arrangements is through distracting one’s thoughts to cease to be aware of life.